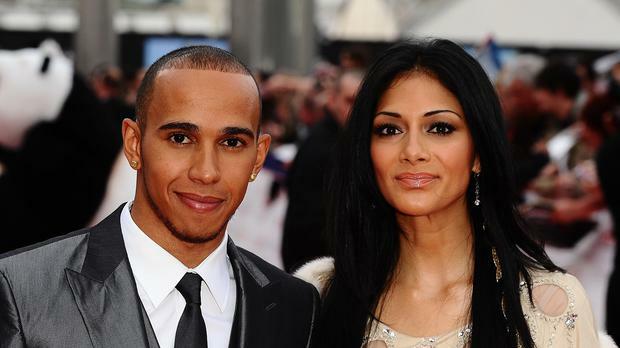 Nicole Scherzinger is apparently finding Lewis Hamilton's rumoured romance with Rihanna tough because she so badly wants to "settle" with someone. The former Pussycat Doll, 37, split from the 30-year-old Formula One ace in February, but they'd had several temporary breaks between then and when they first started dating in 2007. Now there's gossip he's moved on with Bajan babe Rihanna, 27, after they were spotted on holiday in Barbados at the same time. Apparently the news has come as a shock to his ex. "This is yet more news that has hurt Nicole," a source sighed to British magazine Star. "They were together for so long that she finds it hard to hear about Lewis' other high-profile romances, and he sounds pretty smitten with Rihanna. It's especially tough because Nic wants to find someone special to settle with, and this is all a painful reminder that Lewis wouldn't commit to her." Throughout the time they were dating, there was speculation that Nicole wanted to get married and have children, while Lewis was too busy enjoying his youth. What adds salt to the wound is that Lewis and Rihanna were friends before they allegedly hooked up and were spotted hugging back at the Montreal Grand Prix in 2011. "They've had a flirtation for years and have always fancied each other, but since May this year they've been talking a lot. Finally their schedules allowed them to spend a weekend in the same part of the world and they made the most of it," a source told British newspaper Daily Mirror. Bang Showbiz Olly Murs is "smitten" with Zara McDermott.